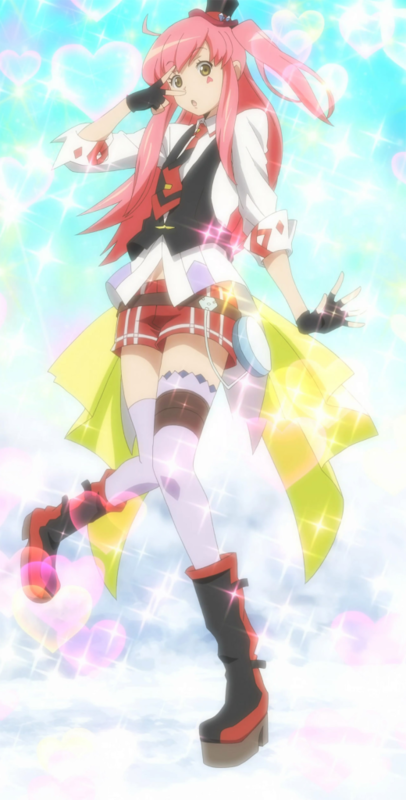 This year, I’ve decided that I would like to cosplay for a con for at least one day. I’ve never cosplayed before (heck, I’ve barely even been to a con before) but I’d like to dive in head first and try something new. There’s a lot to think about with cosplaying- it’s much more than just finding a costume to buy and putting it on. For one, who do you want to be? Is there a costume commercially available that will meet your standards, or is the character obscure enough that you’ll have to make your own, and how much time and money do you want to put into it? Is it important for people to recognize your character? Are you going to have to worry about your costume or makeup deteriorating throughout the day, and are you going to be comfortable walking around and having people stare at you in your costume? – Comfort is a priority. I’d rather have a simpler costume that I can walk in over something uncomfortable and/or high maintenance. – It’s okay if my character is a little obscure or dated. – I refuse to limit myself to female characters, or to attempt to be a guy for a male character I want to play. 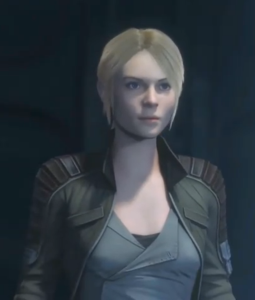 I am okay with playing a female version of a male character. You can feel however you want about this, but that’s how I feel about it. – I do not want this project to take over my life, but I’d like to put a little effort into the costume so it’s not something right off the shelf. – Over-sexualized costumes aren’t for me. Han Solo has always been one of my favorite Star Wars characters. I even loosely modeled my SWTOR character after him. The costume doesn’t seem ridiculously impossible, and it can be made from clothes I could easily buy in stores. I think this is a solid contender. After I got hooked on Witcher 3 this year, it quickly became one of my favorite fandoms (second only to Dragon Age!) 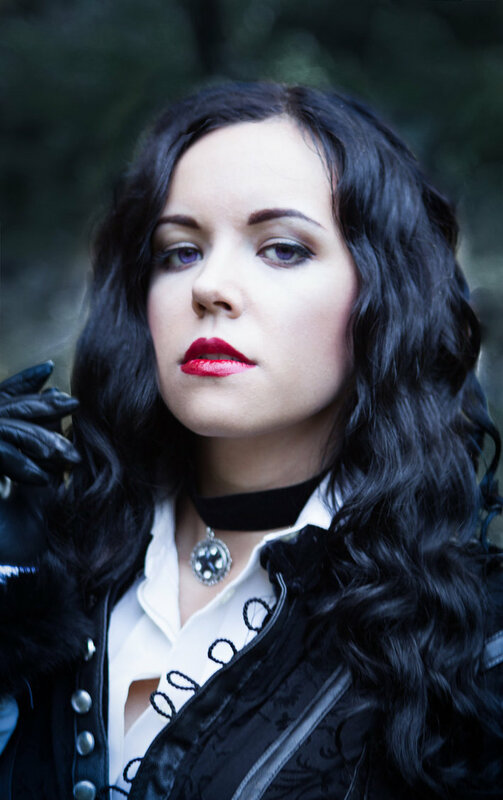 I obsessed with the idea of putting together a Yen costume for my outside-the-con day last year, but it never materialized. This is honestly, probably the least likely of the bunch. I totally love Yen, but Witcher costumes are HARD to make because they’re so intricately detailed. Yen’s a bit vampy, but most of her costumes are tasteful enough that I could wear them. I’m more concerned about getting it right, though, and this one is medium to hard at best. It might not be a realistic endeavor for a beginner cosplayer. 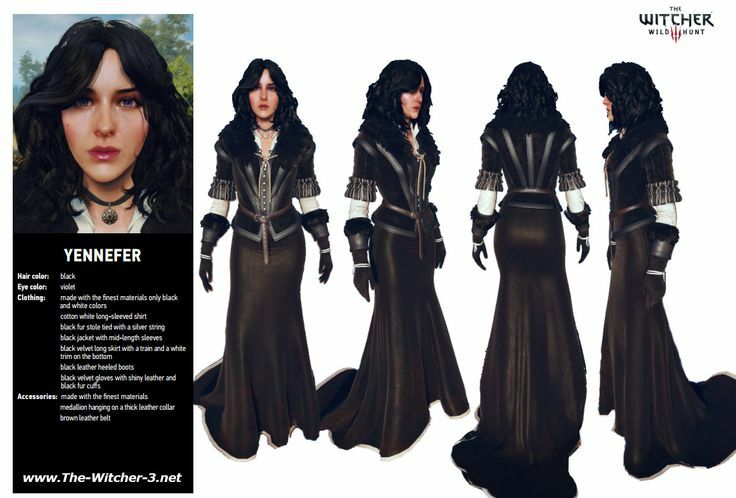 Yennifer’s skin tone matches my own pretty well, but she’s got some specific defining characteristics that aren’t in line with my own- particularly long black hair and violet eyes. (Plus, it’s noted everywhere in the game that she smells like lilac and gooseberries.) Since I don’t want to do a female Geralt, I considered the other female characters but I don’t naturally look like any of them. Ciri’s hair color is like mine, but her clothes would make me look washed out due to my skin tone and her eyes are bright green. Triss has blue eyes like I do, and the skin tone is a better match (although I’d have to draw on freckles) but I’d still have to wear a red wig. Not to mention that Triss and Ciri both have much more elaborate costumes than Yennifer, which rules them out immediately for me. The more I think about this costume, the more I like it. I like the idea of Tetra’s costume for something like Comic-Con because the clothes seem like they would be comfortable and not overly complicated, plus they could easily be picked up at a thrift store and then modified. A big pink wig with a little top hat would give it that special oomph to make it extra cute, and the hat seems like it would be easy enough to craft. 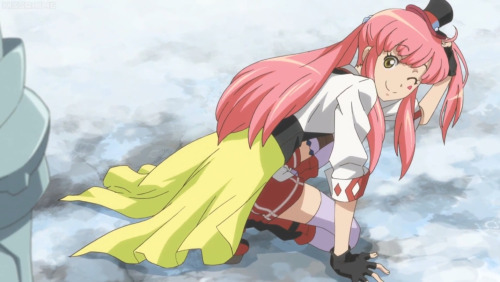 The only foreseeable problem with it is that it definitely won’t be that recognizable (unless Log Horizon sees a resurgence with a third season,) so I just need to decide if I care about that. A couple of years ago, BookishBelle was talking about doing a group LOTR cosplay (I forget the context exactly) and I signed up to do a gender-bending Elrond. The project never came to fruition, although it sure is a fun idea. 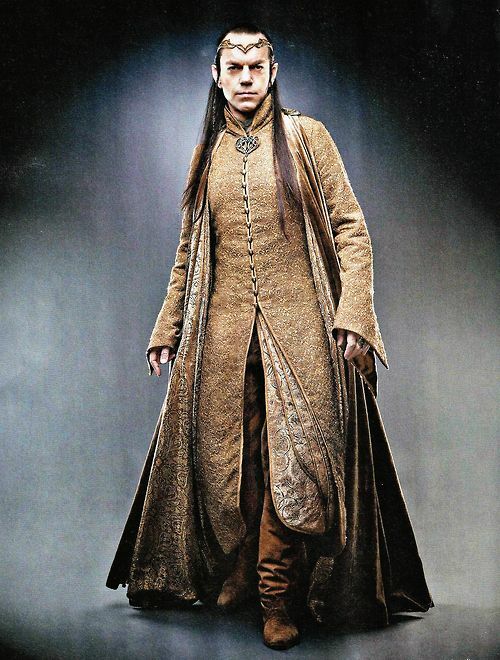 I really like Elrond, and I love the idea of doing a female version of Elrond. But his costume would have to be done right, and that’s going to be challenging. Not to mention all of the layers do not exactly sound appealing in the 90-degree weather we get here in San Diego for Comic Con. I’d have to think this one through a little more. This is an idea I’ve had in my head for a couple of years now. 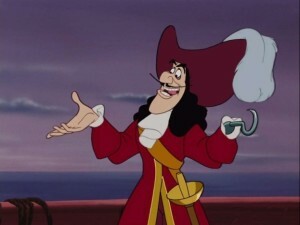 I think Captain Hook is a really fun and ridiculous character. Not to mention there are a million female pirate costumes out there thanks to the Pirates of the Caribbean movies that I could cobble together to make the perfect Captain Hook outfit. I think it would make people smile, because it’s unexpected but hits that nostalgia sweet-spot. I found Juno Eclipse’s costume about a year ago when I was considering joining the 501st legion. It’s not an especially complex costume and the fact that it could double as my entry to the 501st would be a huge plus, because joining the 501st sounds like a lot of fun and something I would like to do. The downside is that even the simplest 501st costumes cost at least a couple hundred dollars to make, because they have to look completely authentic. The plus side is that since it is one of the simplest 501st costumes to make, if I am really committed to joining the 501st this would be well worth the investment. Cosplay doesn’t have to be super complicated. In fact, there are a lot of costume-inspired street clothes available these days thanks to outlets like Think Geek, Her Universe, and Hot Topic. These provide a great alternative to those who don’t want to go around in a full-blown costume, but still want to promote their fandom and pay homage to their favorite characters. 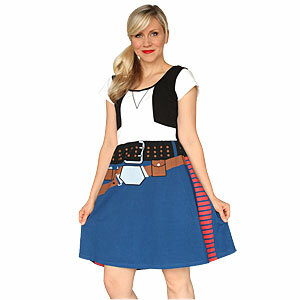 Ashley Eckstein models a Han Solo dress available at ThinkGeek. 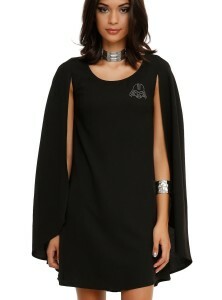 Vader Cape dress available at Hot Topic. 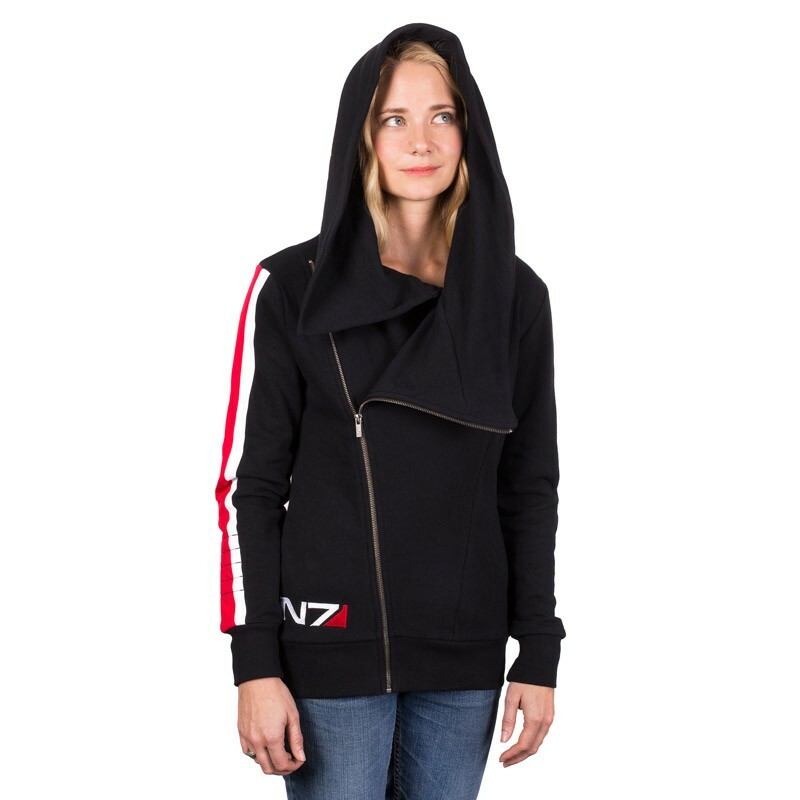 Mass Effect N7 hoodie from the Bioware store.